*MT5 live accounts with other brokers cannot be linked and migrated to Darwinex at this time, nor MT4 accounts which trade cryptocurrencies. Since then, he has earned almost 120K in performance fees (article edited on 22-02-2018). You can see the most up-to-date amount by clicking in the Hall of Fame section. Are you convinced now and definitely want to become the next $THA? If so, please follow the following steps. The process for doing this has two steps. Link your account => The first is linking the live MT4 account and waiting for it to get analyzed by Darwinex algorithms. 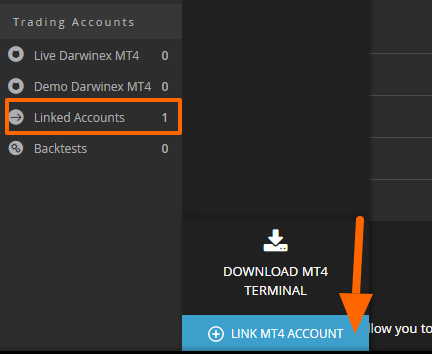 Migrate your account => The second is importing the linked account's track record into a live Darwinex MT4 account. You don't need to close your existing MT4 account, you can keep both. 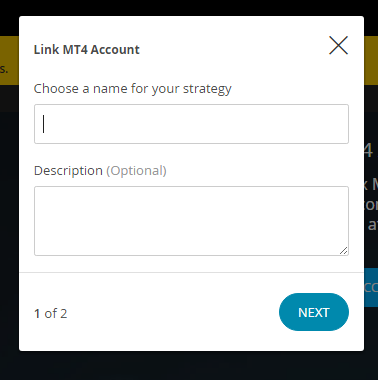 First, you'll be asked for a name and description of the strategy you'll be linking. These data can be changed later on. For creating a DARWIN that takes into account your track record accrued with a broker different than Darwinex, you need to import this track record into a live Darwinex MT4 account. In order to be able to schedule the import process, you first have to have your Darwinex profile validated. This is needed so we can open a live Darwinex account for you during the import process. During profile validation you'll be asked to choose a base currency for your Darwinex profile (EUR, GBP or USD). Please take into account that importing will only be available if the currency of your linked account and the currency of your Darwinex profile are the same. When your profile is validated, you'll be able to schedule import of the track record of your linked account. Importing will be done over the weekend, when the market is closed. Any trades left open for the weekend on the source account will get imported as closed at Friday market close price. 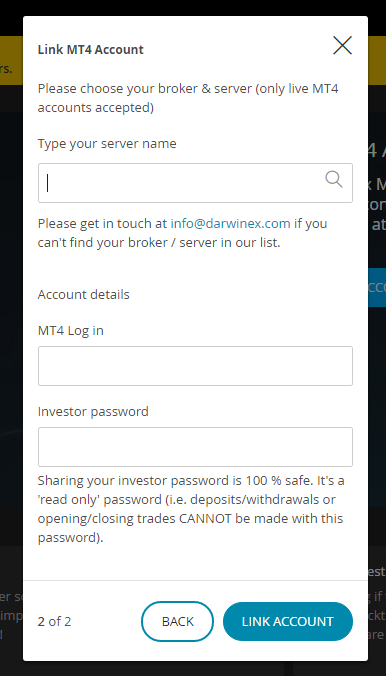 As a last step, you'll need to fund the Darwinex Live MT4 account into which the track record got migrated. You'll find it under the same name you gave your linked account followed by an "M". Changes to the balance between your old and your new account will be accounted for and won't affect your performance track-record. If the balance in your Darwinex account is different than the balance in your linked account, we'd recommend changing the size of the trades in your Darwinex account accordingly to avoid sudden changes in your risk parameters. Track record will only get imported into our system for analysis purposes, it will not show up under the Darwinex MT4 account's Account history. Once a linked account gets imported, we'll stop connecting to the broker's server and also stop analyzing the linked account. Please note that the same track record can only be imported once. Should you choose to delete your Darwinex account into which it got imported, you would no be able to import it again. Create a DARWIN and start earning performance fees! You are now set up to start trading from the live Darwinex MT4 account in order to keep building your strategy on top of the imported track record and request DARWIN creation. From that moment on, you will be able to start accumulating 20% performance fees collected out of both your investors and Darwinex' profits. 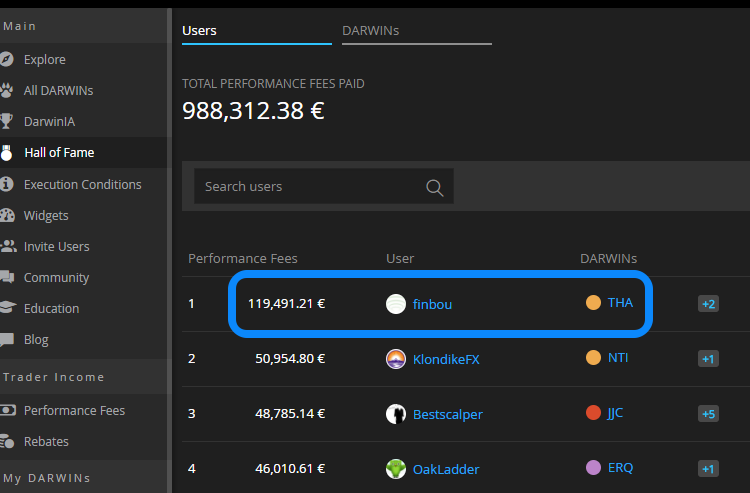 Be reminded that Darwinex invests 24MM of notional capital in its own traders thanks to our monthly trading challenge called DarwinIA.